French President Emmanuel Macron warned of risks to the sovereignty of African countries from China’s increasing economic presence at the start of a visit to the east of the continent. Macron arrived in Djibouti looking to reassert French influence in a former colony on the Horn of Africa where China built a military base and invested billions of dollars in infrastructure. The French leader will also visit Kenya and Ethiopia on his current tour cautioned of conditions attached to Chinese loans. They could be dangerous in the long term. “China is a great world power and has expanded its presence in many countries, especially Africa, in recent years,” he said alongside Djibouti President Ismail mar Guelleh. “But what looks good in the short term can often end up being bad over the medium to long term”. “I wouldn’t want a new generation of international investments to encroach on our historical partners’ sovereignty or weaken their economies,” Macron said. China said in September it was helping Africa develop, not pile up debt, as its government pledged $60 billion to African nations and rejected criticism of it loading the continent with an unsustainable burden. Djibouti is strategically located at the southern entrance to the Red Sea en route to the Suez Canal. It hosts France’s largest naval base in Africa with 1,400 French personnel who train African troops and monitor the Horn of Africa and Yemen. While Djibouti was regarded as a key French outpost in the past, Macron is only the second French leader to visit the tiny country of a million people in the last 20 years. A reminder of Beijing’s growing presence, Macron was received at Djibouti’s new Chinese-built presidential palace. Djibouti’s president accused France of abandoning Djibouti in 2015 and investing very little there. 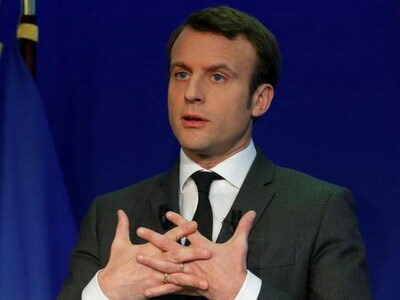 Macron said French firms were ready to invest in Djibouti for the long term but a better business environment was needed to enhance the country’s attractiveness to investors. Djibouti also has a US military base for operations against Islamist militants in Yemen and Somalia. In 2013 China opened its largest overseas military base in the country, rivalling those of Paris and Washington. Beijing provided financial aid, developed industrial output in Djibouti and poured investment into infrastructure projects, including upgrading a French railway built in 1917 linking Djibouti to Addis Ababa. Chinese state banks funded an infrastructure building spree across Africa. Many African leaders praise the Chinese for being willing to fund desperately needed projects to help kick-start their economies with less bureaucracy than multilateral institutions like the World Bank. Some Western nations express concern the loans could trap poor countries with debt, saddling them with poor quality projects and forcing them to hand over control of strategic assets used as collateral.